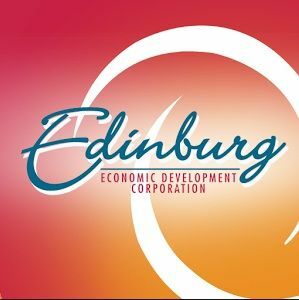 EDINBURG — The economic development board here created a new position this week that will help market its new business grant, coordinate workforce training and organize special events. The position was created by the board of directors during a special called meeting of the Edinburg Economic Development Corporation on Tuesday evening, Executive Director Joey Treviño said. “I think it’s just going to help us progress here and get some more involvement with our local retailers,” Treviño said about the new position. The new hire will earn between $70,000 and $84,000 — a significant pay bump when compared to the salary of former marketing specialist Jennifer Cabrera. Though, it’s yet to be seen whether the job duties will be comparable. Cabrera’s starting pay was set at less than $50,000. She was terminated in February amid a round of firings that left the office with a single employee following the appointment of a new board. At the time, the employees who were fired said they were told their dismissal stemmed from efforts to cut costs and use city services to supplement the EDC. Soon after, the board hired former Edinburg City Secretary Myra Ayala Garza as director of business operations and marketing for EEDC. And while Garza will help coordinate marketing efforts, the new position will help carry them out, Trevino said. “This person is going to do more outreach in the area, as well as coordinate the workforce training programs. It’s like three-fold,” he said, adding the new hire would also be responsible for organizing special events. Among the tasks is to help promote a new grant the EEDC board recently created to help with small business retention and beautification efforts, Trevino said, informally calling it the “five and ten” grant. His office is also partnering with the Edinburg school district, South Texas College, and the University of Texas Rio Grande Valley to create a workforce training program. And as far as the pay, Treviño said it was set based on his research of similar positions in cities across the state, though he could not recall which ones. “Not off the top of my head right now,” he said when pressed for specifics.